The advanced materials company highlighted its quantum dot greenhouse technology, UbiGro, during the Austin festival Los Alamos, NM—March 19, 2019—UbiQD, Inc., a New Mexico-based nanotechnology development company, announced today that it was recently named winner in the Hyper-Connected Communities category of the 2019 South by Southwest (SXSW) 11th Annual SXSW Pitch®(formerly SXSW Accelerator) competition, where it showcased its UbiGro™ quantum dot greenhouse technology. 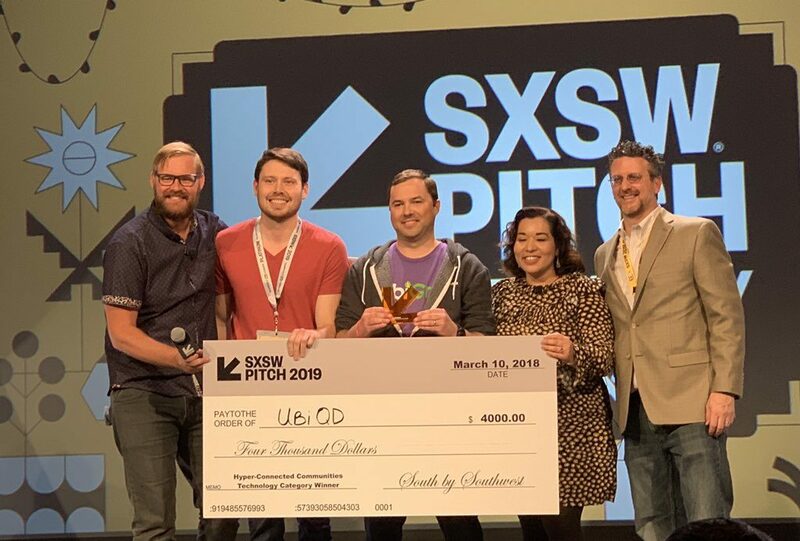 “Bringing home the best pitch award is a great validation of what we are doing” said Dr. Hunter McDaniel, CEO at UbiQD. “Among other things, it shows that even a ‘deep tech’ based startup, commercializing hard science (quantum nanomaterials), can effectively communicate their story to a broad audience.” SXSW Pitch is the marquee event of South by Southwest® (SXSW®) Conference & Festival’s Entrepreneurship & Startup Track, where leading startups from around the world showcase some of the most impressive technology innovations to a panel of hand-picked judges and a live audience. Of the more than 800 companies that applied to participate in the 2019 SXSW Pitch, 50 finalists presented across 10 categories. The first-ever product of its kind, UbiGro is a retrofit luminescent film that hangs over crops and can be quickly installed and tested in a portion of an existing greenhouse. The film is currently installed more than ten greenhouses across New Mexico, Arizona, Oregon, Colorado, Spain, and the Netherlands where growers are producing tomatoes, lettuce, cannabis, and hemp. During the pitch, UbiQD announced the installation of its first commercial cucumber greenhouse pilot project. Read more about UbiQD in an Austin Startups article or the cover story of the February issue of MJBiz Magazine. The news was also announced by SXSW. About SXSW SXSW dedicates itself to helping creative people achieve their goals. Founded in 1987 in Austin, Texas, SXSW is best known for its conference and festivals that celebrate the convergence of the interactive, film, and music industries. The event, an essential destination for global professionals, features sessions, showcases, screenings, exhibitions, and a variety of networking opportunities. SXSW proves that the most unexpected discoveries happen when diverse topics and people come together. SXSW 2019 will take place March 8-17. About UbiQD, Inc. UbiQD is a nanotechnology company based in Los Alamos, New Mexico that manufactures high-performance, cadmium-free quantum dots and composite materials. The company uniquely focuses on applications that utilize its nanomaterials to manipulate sunlight, enabling solar windows and spectrum-controlled greenhouses. Spun out of technology developed at Los Alamos National Laboratory, Massachusetts Institute of Technology, the University of Washington, and Western Washington University, UbiQD envisions a future where quantum dots are ubiquitous in a wide spectrum of applications. For more information please visit UbiQD.com or UbiGro.com.